(Natural News) Are you always checking your phone out of habit instead of necessity? If your answer is “yes,” it may be time for a digital detox. Can people get addicted to their smartphones? A unique study, which was spearheaded by researchers from Lancaster University and the University of Lincoln, is one of only a handful that examined smartphone usage based on what individuals do instead of what they can remember. 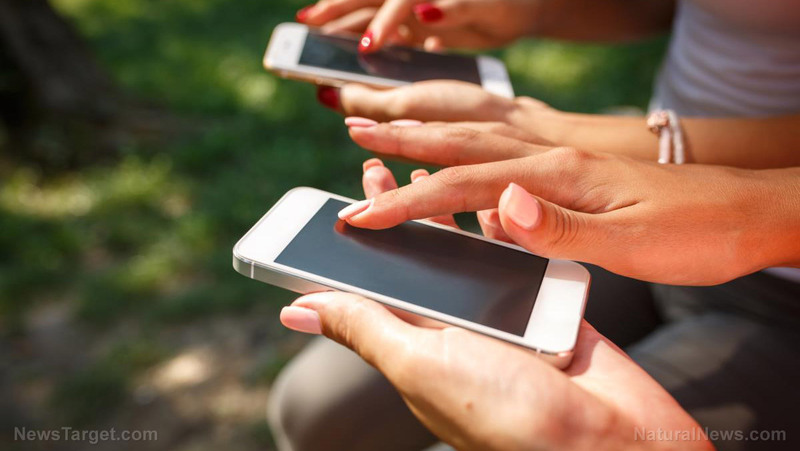 In the study, which was published in Cyberpsychology, Behavior, and Social Networking, researchers analyzed usage within 13 days via a simple smartphone app. The app creates time stamps when usage begins and ends. Using this data, the researchers determined the total hours of usage and the number of checks per day. A “phone check” was defined as any usage that lasted less than 15 seconds. The findings of the study revealed that every person had “repetitive and consistent” smartphone usage. It also revealed that future phone checking frequency can still be determined even with inadequate data. The findings also revealed that self-report tools like standard questionnaires or surveys can’t predict these behaviors. According to Dr. David Ellis, these methods have previously been confirmed to be inaccurate. The authors explained that if a person checks their phone at least 80 times in one day, it’s possible that the behavior is also repeated daily. Heather Shaw, from the University of Lincoln, noted that this can be due to the fact that smartphone use is automatic and not everyone may accurately remember the act of checking their phones. Limit notifications – Most apps on your phone have notifications that draw your attention, but you can turn these off through your phone’s settings. Push notifications can also be turned off per app. Set a schedule – Limit the time you spend checking social media or your emails. Try to fight the urge to check even if you’re not waiting for an important message. You can also delete the Facebook app on your phone, which means you can only check your account from a computer. Turn off auto-play – Occasionally binge-watching your favorite show is fine, but doing this every day can be bad for your overall health. When using streaming services like Netflix, disable auto-play so you don’t spend countless hours staring at a screen. Use an alarm clock – Using an actual alarm clock instead of an app on your phone can help make a digital detox more effective. Keep your phone away from your bed or nightstand so you won’t feel the urge to check your notifications. Learn more about the benefits of a digital detox at Mind.news.